Most discussants in the matter of “divorced and remarried Eastern Orthodox Christians receiving Eucharist in a Catholic church routinely but incorrectly assume that one’s “proper disposition” for a sacrament is determined by the conclusions of one’s personal conscience. Hmmm. I question my friend’s interpretation of Canon 844. In pertinent part Canon 844 § 3 simply says: “Catholic ministers administer the sacraments of penance, Eucharist, and anointing of the sick licitly to members of Eastern Churches which do not have full communion with the Catholic Church if they seek such on their own accord and are properly disposed.” This is obviously a broad assertion of law which, like other broad assertions of law, could be tempered by specific exceptions gleaned from other provisions. While Robert invokes no experts in support of his conclusion that Canon 844 authorizes reception of holy Communion by divorced-and-remarried Orthodox (I know of none whom he could invoke), he seems to argue that insofar as “divorced and remarried Eastern Orthodox Christians believe they are properly disposed because they have been remarried in their Church and with Church approval”, this good faith error on their part authorizes their being given holy Communion by Catholic ministers. Ahhh. I think I see the problem. Most discussants in this matter routinely but incorrectly assume that one’s “proper disposition” for a sacrament is determined by the conclusions of one’s personal conscience. But, as I have pointed out before, qualified commentators distinguish between “internal disposition” (which are indeed largely matters of personal faith, conscience, and so on) and “external dispositions” (such as one’s demeanor and public status) and hold that one’s “proper disposition” for a sacrament depends on both sets of factors being verified, not just one. See, e.g., Halligan, Administration of the Sacraments (1962) 110-113; Regatillo, Ius Sacramentarium (1964) 205-211. Thus, Orthodox faithful might be in good faith about the gravity of the disorder that is divorce-and-remarriage (as might many Catholics after decades of thin or bad catechesis), but such an arguably sufficient internal disposition does not exempt ministers of holy Communion from assessing, as best they can, the question of external disposition as well and, where it is found wanting, to withhold holy Communion on those grounds. Support for withholding holy Communion from divorced and remarried Orthodox who would otherwise be eligible for the sacrament per Canon 844 § 3 seems present in, for example, the British-Irish commentary, Letter & Spirit (1985) 465, which states: “The requirement regarding disposition would be the same as for a catholic with whom the [Orthodox] is presumed to share a common faith in the sacraments.” Or again, the Code of Canon Law Annotated(2004) 668 states that “whoever requests the sacraments should be duly prepared, which implies that their faith must conform to that of the Catholic Church regarding the sacraments they are to receive.” Similar is the Exegetical Commentary (2004) III/1 at 414. This focus on sacramental (as opposed to broader dogmatic) beliefs is important. 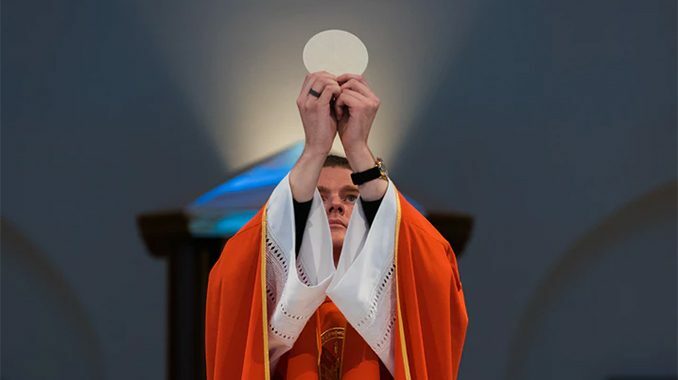 Consider: Roman Catholics believe not simply that the Eucharist is the Body, Blood, Soul, and Divinity of Christ, but also that reception of that most august sacrament demands suitable internal and external dispositions in accord with a tradition that dates back to St. Paul’s letter to the Corinthians. See 1983 CIC 915 and 916. So, Canon 844 might tolerate discrepancies in an Orthodox Christian’s doctrinal beliefs about, say, papal primacy, but about sacramental issues such as reception of the Eucharist in the face of, here, “public and permanent adultery” (CCC 2384)? That seems a much harder claim to defend. At the least, such observations should prompt pause before simply asserting that “according to canon 844 § 3, Holy Communion could be licitly given” even to divorced-and-remarried Orthodox. I’ve already thanked Dr. Peters for his helpful discussion of this issue. I would have done better to have simply raised the question about how canon 844.3 applies to divorced and remarried Eastern Orthodox. That was actually my intention, which is why I spoke of a “possible exception.” While Edward Peters offers an intelligent and compelling opinion, it would be good for other canonists to reflect on this issue. With regard to canon 915, the question needs to be raised how a divorced and remarried Eastern Orthodox Christian could be “OBSTINATELY persisting in manifest grave sin” if he or she has been given ecclesial permission to enter into the second union. Of course, the Orthodox approach to divorce and remarriage is wrong, but I’m not sure if a divorced and remarried Orthodox Christian (who has remarried with ECCLESIAL permission) is quite the same as a divorced and CIVILLY remarried Catholic. These are simply questions I raise for discussion. In actual practice, I think very few Eastern Orthodox Christians receive Holy Communion in Catholic Churches. Their own Churches frown upon this except in cases of extreme necessity. I am glad, though, this matter has been raised because I think it needs more study and reflection (and perhaps clarification by Church authority). Another issue that Fastiggi is ambiguous about. The matter itself is ambiguous because the Magisterium has not clarified this issue. I am also a canonist and this is more than Peters’ particular opinion. Canon 844 was not envisioned for the scenario you claim; those receiving from our ministers are then subject to Catholic law. 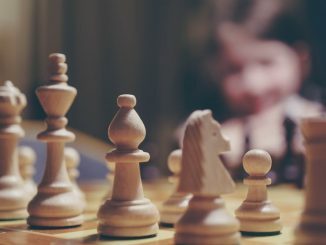 You also commit a fallacy by throwing out a claim, then say because there is no magisterial statement prohibiting it (which is not the way canonical matters are resolved), then it must be plausible/is dubious; and because it doesn’t fit your desired narrative and as a non-canonist don’t know that it has been addressed in canonical disputation. Peters’ also addresses the larger mistake that people are making in all of this, that refutes the claim about 844 anyway- that one’s access to the sacraments is allegedly ultimately/exclusively determined by subjective disposition. A larger point is that your speculation is a good example of folks grasping at anything & everything to promote the pre-desired narrative that there is no confusion or doubt w/ Al and its heterodox interpretation, and to go with Francis’ will no matter what he says: engaging in dubious claims that Francis may have this in mind, therefore exceptions are permitted, and that this is an orthodox interpretation. The latter is also an error: merely because Francis may claim it does not make it orthodox/correct. Claiming exceptions is clearly a novelty and this is a matter of either/or- either there are exceptions or there are not (separation or continence required). In this way there is also contradiction in your own piece: you argue there may be exceptions, then claim Francis said in his 11/25 address that he requires continence, and thus has effectively answered one of the dubia. (You seem to be alone in this claim about the address.) Both approaches can’t be true, of course and the wording of the dubium makes this clear. It seems you are trying to cover all the bases and thereby unwittingly also suspect Francis desires a heterodox interpretation. It is also noted you have departed from your own initial claims that AL did not allow for exceptions and that this was the orthodox interpretation, yet have now drifted into claiming exceptions and trying to label that as orthodoxy. The very fact you have to write a long piece explaining matters, adding interpretation, and speculation, shows that matters are hardly clear. Thank you for your comments. I certainly don’t believe that one’s access to the sacraments is ultimately/exclusively determined by subjective disposition. As for understanding Pope Francis and Amoris laetitia, I try to follow n. 22 of the Spiritual Exercises of St. Ignatius of Loyola cited in the CCC, 2478. 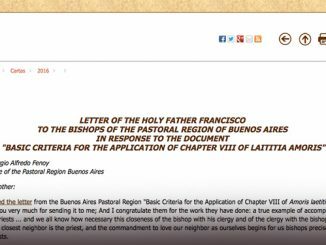 It was Cardinal Ratzinger who in 1994 said that “further study” is needed on the question of how to handle cases of people who have been unjustly denied a declaration of nullity. Neither he nor I are operating on a “pre-desired” narrative. It’s great if canonists can resolve canonical questions via disputation. I hope you would agree, though, that there are times when magisterial intervention is needed. Why else would there be a Pontifical Council for the Intepretation of Legislative Texts? Moreover, the Pope can make changes to canon law as we both know. Thanks. However, the subjective disposition issue is exactly what your theory about c. 844 is predicated on, as Peters pointed out. You and others- e.g., Dawn Eden and Rocco B. in various articles in la stampa & Buttiglione’s book- have made much ado about this and keep repeating it as the basis for claiming exceptions, though you know it to be invalid. Next, scholars have not been wondering or claiming that c. 844 allows for what you envision, as though there is some doubt about the meaning of the canon; but you are alone in putting forth a novel theory (and Peters notes you provide no references for it), then claim that this needs clarification because you want to impute to it a content it is not meant to have. You also speculate about those “unjustly” denied an annulment and admit you don’t know if this is what Francis envisions; there has also been no mention of this whatsoever by him or anyone at the Holy See, so it would seem this is not what he is invoking in terms of exceptions; while we know that in practice it certainly includes situations other than this, including those who merely “feel at peace with God” as in the Maltese guidelines. As an aside, it is noteworthy that there was no change in the issue in the rest of JPII’s pontificate and then Benedict’s, and it would seem odd that the issue was simply dropped. You will also notice that the exception is not dealing first and foremost with reception of communion but with the status of the marriage. Hence it would still be saying that some sort of decision about the first marriage would need to be had, not that reception is permitted before or without such, which is what is now being advocated in some places. Thank you again for your comments. With regard to canon 844.3 I discerned there was some doubt about how this might apply to divorced and remarried Orthodox because I checked with several priest scholars (both seminary professors) and received conflicting answers. I also checked several months back with a canon lawyer, and he told me he would need to give the question some thought. This indicated to me the matter was somewhat unclear. I will try to consult other canonists about this matter. I certainly respect Dr. Peters who is my colleague and friend. I still, though, would like to do further research on the matter (time permitting). It seems to me that divorced and remarried Orthodox are NOT relying simply on a subjective discernment of their worthiness to receive Holy Communion. This is because they have received assurance from the EXTERNAL forum of their own Church to enter into the second union. When the U.S. Bishops (many of whom are canonists) urge the Orthodox “to respect the discipline of their own churches” this might be interpreted as respecting their own Church discipline regarding the status of their marital bond and their worthiness to receive Holy Communion. This, in any case, is how one priest scholar–who is an expert in Byzantine Catholic theology–told me he would understand the application of canon 844.3 to divorced and remarried Orthodox. As I’ve already noted, the matter is mostly hypothetical because few Orthodox receive Holy Communion in Catholic churches. The other question is the matter of “obstinancy” mentioned in canon 915. It would seem that such obstinancy would need to be established before deciding not to admit certain individuals to Holy Communion. As you know Cardinal Ratzinger said that pastors should first meet with Catholic politicians who give public support to evils such as abortion and euthanasia before deciding not to admit them to Holy Communion. 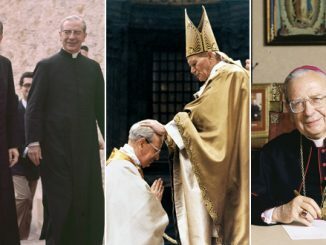 With regard to allowing divorced and remarried CATHOLICS to receive Holy Communion, I fully support what St. John Paul II taught in FC, 84 and what is found in the CCC, 1650. My thoughts on this matter were expressed in an article I wrote in critique of Cardinal Kasper’s address of Feb. 20, 2014: https://zenit.org/articles/a-reflection-on-cardinal-kasper-s-speech-on-the-family/ Questions, though, have been raised with respect to what Pope Francis might have in mind regarding the “certain cases” mentioned in footnote 351 of Amoris laetitia. I can’t speak for the Holy Father, but raising possibilities about what he might have in mind is one way of generating public discussion. It might serve as a stimulus for the Holy Father to clarify certain matters. I am aware of my own fallibility. God, however, knows the intentions of my heart. I am only trying to understand Pope Francis and his writings in a benevolent way in light of tradition. I think the 1996 statement of the US bishops which urges Orthodox Christians “to respect the disciplines of their own churches” could give the impression that divorced and remarried Orthodox could receive the Eucharist in Catholic Churches. 22. 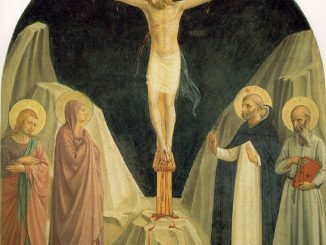 Il fedele orientale non cattolico divorziato e risposato non può essere ammesso alla comunione eucaristica nella Chiesa cattolica 39, nonostante nella sua Chiesa ciò sia permesso. Infatti, il requisito di essere “ben disposti”, per poter ricevere l’eucaristia, include una situazione matrimoniale oggettivamente regolare. 22. The Eastern non-Catholic member of the faithful who is divorced and remarried cannot be admitted to Eucharistic communion in the Catholic Church 39, despite this being permitted in his Church. In fact, the requirement of being “properly disposed”, for being able to receive the Eucharist, includes a matrimonial situation that is objectively regular. 39 Cfr Sacramentum caritatis, n. 29.